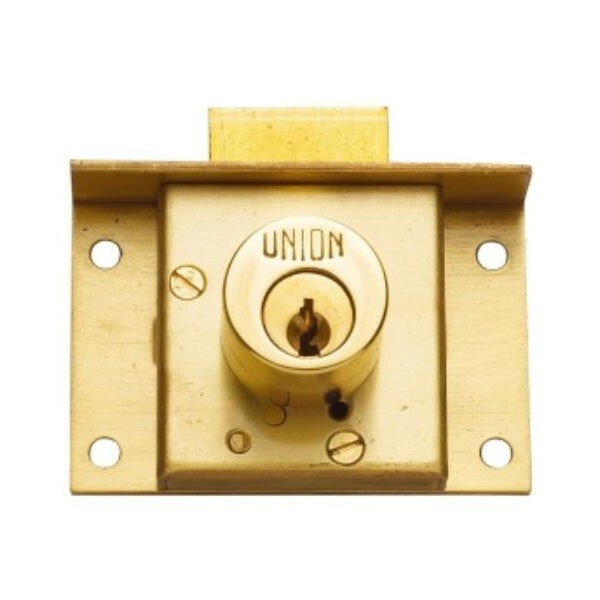 Union Cylinder Cut Drawer Lock 64mm for wooden drawers. To suit drawers up to 23mm material thickness. May be supplied master keyed. The bolt is locked and unlocked by key.